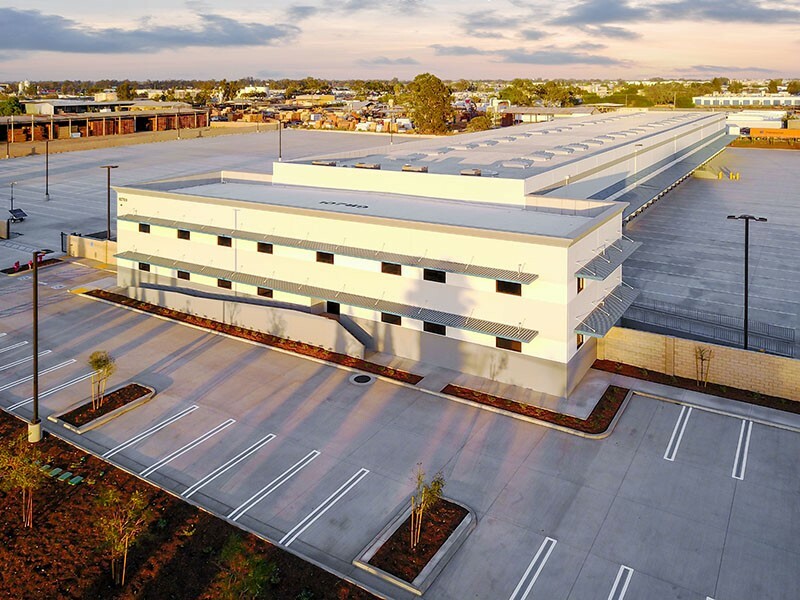 Dedeaux Properties repositions existing Industrial Real Estate in addition to executing ground-up development in strategic, core Industrial markets. Our Mission remains consistent: Create property value for the aligned benefit of investors, partners, shareholders, tenants, and team members. Our expertise is Logistics Real Estate, strictly in the strategic, core, West Coast port-related markets. We concentrate into our areas of proficiency: Transportation-oriented properties, cold-storage facility and distribution facilities. Creating property value is a core strategic initiative. We utilize the diverse expertise of our experienced team to execute beyond making a strategic purchase. Our vision for each asset is executed utilizing our experience in construction, financing, tenant-relations, asset management and market knowledge. We take great care to maintain and grow our customer/tenant relationships throughout our portfolio. This strengthens our deep understanding of logistics facilities and creates and opportunities for customers and our firm. Dedeaux Properties and its affiliates have a long and successful history in industrial real estate in California, dating back over 50 years. The firm currently manages over 6,000,000 sq. ft. of assets. Meanwhile, its management team continues to innovate in the industrial asset class which remains the sole focus of the company. Currently, the firm is executing on a pipeline of over 2,000,000 sq. 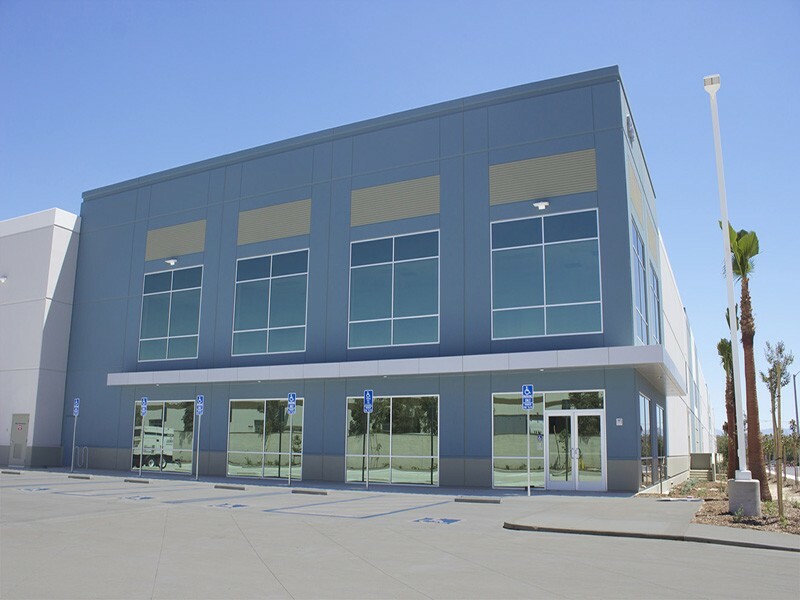 ft. of development and acquisition activity ranging from big-box distribution centers in the Inland Empire, cold-storage facilities in Central Los Angeles to trailer parking yards in South Bay Port-centric marketplaces. It all began with Rod Dedeaux. The legendary baseball coach and business icon started by buying a truck during the Depression using his signing bonus from the Brooklyn Dodgers after suffering a career ending back injury. While best known for leading the University of Southern California to 11 National Titles, coaching two Olympic teams in 1964 and 1984 and fostering the growth of international baseball, particularly in Japan and Asia, Rod’s day job was growing his logistics business, Dart, founded in 1936. In 2006, his company had long been established a leading 3rd party logistics provider with facilities throughout the country servicing many national retailers and consumer product companies. He reflected that his many industrial real estate investments and development projects, at this point totaling over 4,000,000 sq. ft., were contributing substantially to the bottom line and the firm had considerable expertise in this area. At this time, Rod decided become the initial investor and co-founder of Dedeaux Properties, formed along with the vision of Brett Dedeaux. 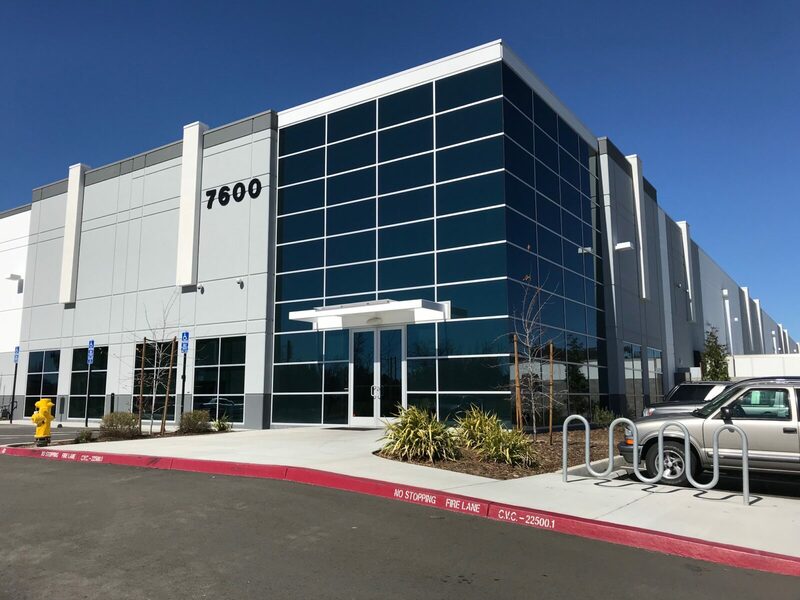 Their mutual goal was to become the leading logistics real estate provider in Southern California and Terry Dedeaux, the CEO of Dart Entities, became an adivising partner and co-founder. While best known for leading the University of Southern California to 11 National Titles, coaching two Olympic teams in 1964 and 1984 and fostering the growth of international baseball, particularly in Japan and Asia, Rod’s day job was growing his logistics business Dart founded in 1936. In 2006, his company had long been established a leading 3rd party logistics provider with facilities throughout the country servicing many national retailers and consumer products companies. He reflected that his many industrial real estate investments and development projects totaling over 4,000,000 sq. ft. were contributing substantially to the bottom line and the firm had considerable expertise in this area. At this time, Rod decided to back become the initial investor and co-founder of Dedeaux Properties, formed with the vision of Brett Dedeaux to become the leading logistics real estate provider in Southern California and being advised by partner and co-founder Terry Dedeaux, the CEO of the Dart Entities. Take a look at some of our current projects below and click on “More Properties” to see a wider selection. 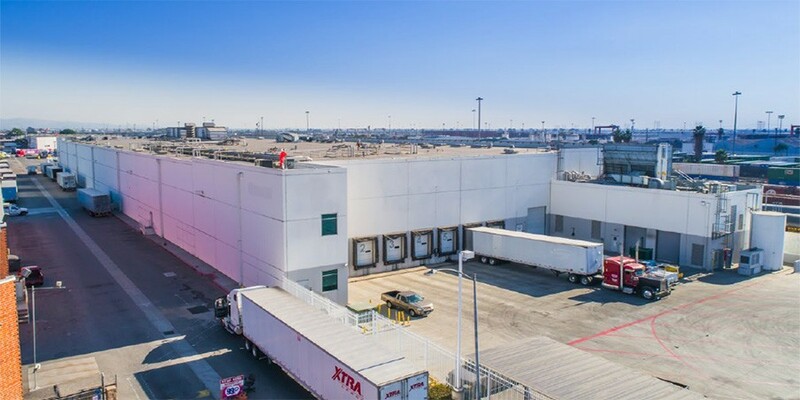 Two building distribution center totaling approx. 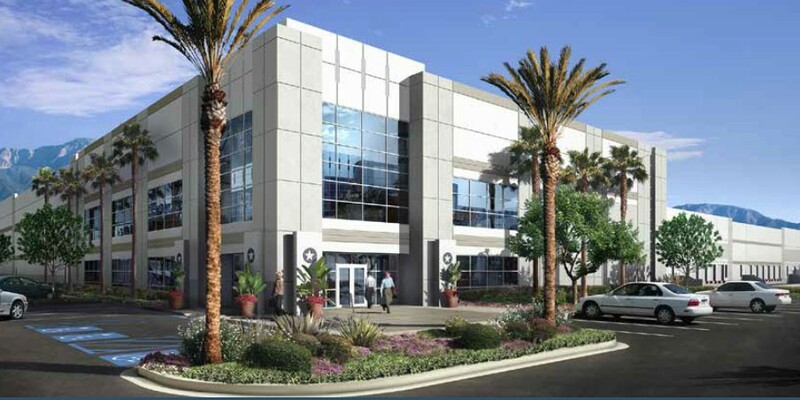 1,374,341 SF, under construction in the Inland Empire East. 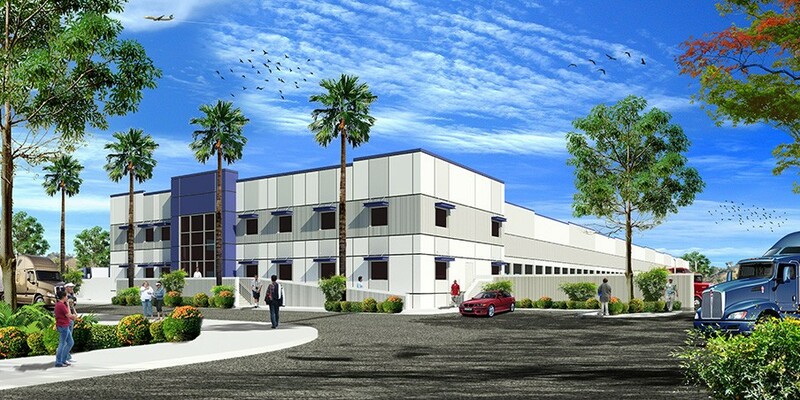 56,560 SF Cross-dock Facility under construction in Inland Empire West. Frozen/Refrigerated Food Production Plant. 111,260 SF, LEED Certified, located in Central Los Angeles.